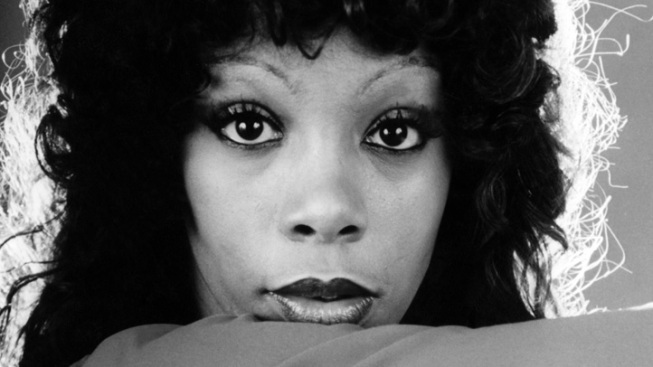 Summer, deemed the "Queen of Disco" for hits like "I Feel Love," ''Love to Love You Baby" and "Last Dance," died May 17 of lung cancer at 63 in Naples, Fla.
Family and some of her closest friends helped celebrate the life of Donna Summer at the singer's funeral. A private memorial service was held Wednesday for Summer at Christ Presbyterian in Nashville, Tenn., where she had been a resident since 1995. Producer and close friend David Foster performed "The Prayer" with Natalie Grant. Summer's sisters, Linda Gaines Lotman, Mary Ellen Bernard, Dara Bernard and Jenette Yancey, sang "We've Come This Far By Faith." Other guests included producer Giorgio Moroder and Tony Orlando. Summer is survived by husband Bruce Sudano; three daughters, Brooklyn, Mimi and Amanda; and four grandchildren.